The number of genetically sequenced Neanderthals has just doubled, offering a better picture of archaic human history, which eventually intersected with that of anatomically modern humans. P	P	eople today of Native American, European, Asian, and North African heritage have Neanderthal DNA in their genomes, with percentages estimated between 1-4 percent. As a result, the majority of people alive today are related to these humans that, as a distinct population, are thought to have gone extinct 39,000–41,000 years ago. Since Neanderthals have affected everything from modern hair and eye color to cardiovascular traits, information about them is important to understanding our species. An obstacle has been obtaining Neanderthal remains that are preserved well enough to allow for analysis of large portions of their genomes. An international team of researchers led by scientists from the Max Planck Institute for Evolutionary Anthropology has just overcome the problem, allowing for whole genome sequencing of five Neanderthals who lived 39,000–47,000 years ago. The findings, reported in the journal Nature, provide important insights into Neanderthal history before and after they encountered anatomically modern humans. "The addition of the genome sequences of these five Neanderthals presented in this study doubles the number of genomes available, and we hope that this will provide a useful resource for others interested in studying human history," lead author Mateja Hajdinjak of the Max Planck Institute for Evolutionary Anthropology told Seeker. 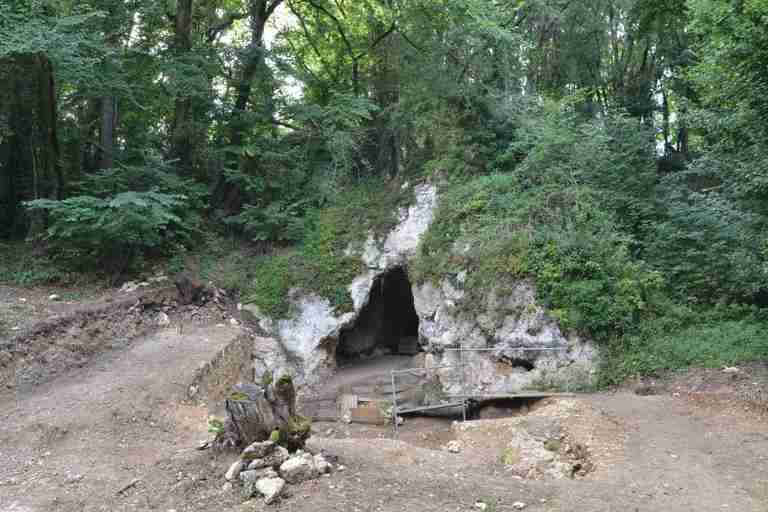 The remains, representing both male and female Neanderthals, came from the Goyet Caves of Belgium, Spy Cave in Belgium, Les Cottés Cave in France, Vindija Cave in Croatia, and Mezmaiskaya Cave in the Russian Caucasus. Co-senior author Janet Kelso explained that one of the major factors that influences the ability to obtain good, Neanderthal sequences is contamination with microbial and present-day human DNA. Reducing contamination is therefore important in the study of any early-hominid remains. A number of methods to accomplish this have been developed over the last few years. She and her colleagues took small bone and tooth samples from the remains and ground them into a fine powder. The powder was then treated with a mild, hypochlorite solution that preferentially removed the contaminating DNA. The remaining genetic material was then sequenced and compared with the other Neanderthal genomes as well as related data for Denisovans and two anatomically modern humans whose lifespans and locations overlapped with those of the studied Neanderthals. Since there is currently no genetic data available for Homo floresiensis, aka the "hobbit" human from the Indonesian island of Flores, it is not possible to determine how this group was related to Neanderthals and Denisovans. One of the prior sequenced Neanderthals lived in Siberia. The researchers determined that the five newly analyzed Neanderthals shared a common ancestor with the Siberian individual 150,000 years ago before they spread out into separate populations. The scientists further determined that the relatedness of the five newly analyzed Neanderthals correlated with their geographic proximity. This is also the case for today's humans, assuming that they have not left their native homeland. The Neanderthals from Belgium, for example, were more closely related to the one from France versus the one from Croatia, which is farther away. The researchers additionally confirmed prior research on Denisovans that concluded this other early Eurasian human was closely related to Neanderthals. Denisovans are thought to have ranged from Siberia to Southeast Asia to Melanesia, meaning Melanesians and Aboriginal Australians, for example, retain an estimated 3-5 percent Denisovan DNA in their genomes. "All the Neanderthals we have sequenced to date share a common ancestor with Denisovans, and our estimates in this paper seem to agree with previous studies that estimated the separation of Neanderthal and Denisovans to have occurred approximately 400,000 years ago," co-senior author Svante Pääbo told Seeker. He added that there is evidence for hominids living in Spain at around this time, so it is possible that the last common ancestor of Neanderthals and Denisovans came from this region as well. The species identity of the common ancestor remains a mystery for now. It is also unclear what led to Neanderthals splitting from the Siberian population 150,000 years ago. One possibility is that they were tracking prey. A study recently published in the Journal of Archaeological Science reports the remains of bears associated with Neanderthals. 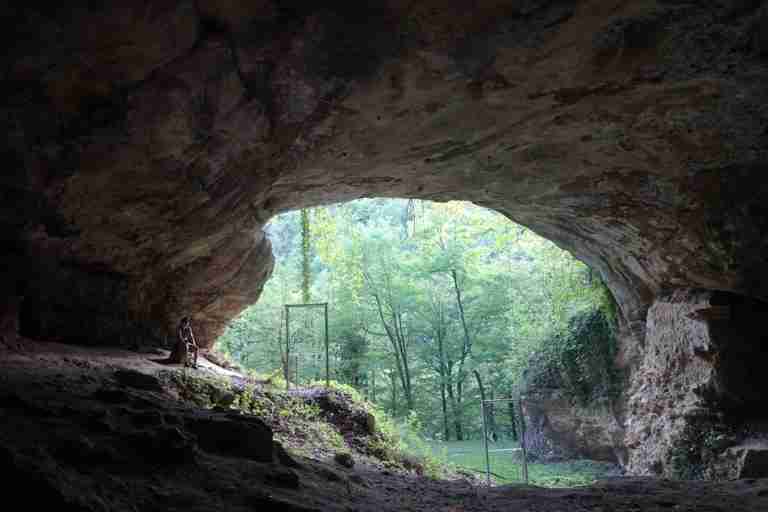 "Cave bear, brown bear, and Neanderthals were potential competitors for environmental shelters and food," lead author Matteo Romandini of the University of Bologna and his team wrote. The bear remains, found in Rio Secco Cave and Fumane Cave in northeast Italy, retain "clearly preserved traces of human modification such as cut and percussion marks, which enable a reconstruction of the main steps of fur recovery and the butchering process." 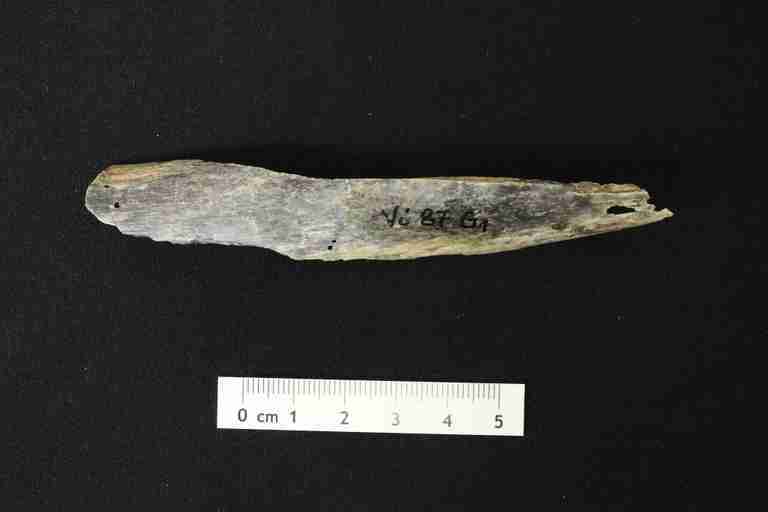 The evidence then "suggests that bears had a strategic role in the nomadic economy of Neanderthal hunting groups," Romandini and his colleagues conclude. Neanderthals also are known to have hunted mammoths and other animals. They additionally consumed seafood and gathered plant materials. Much of their lives must have been devoted to following animal and sea life migrations, and to finding good sources of plant-based foods. 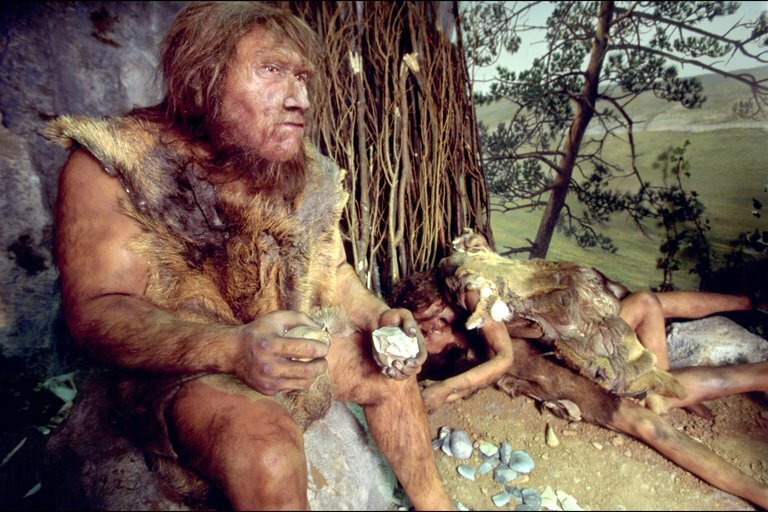 Climate would have been another factor affecting both the Neanderthals and their prey. Hajdinjak and her team determined that the five Neanderthals shared a common ancestor with a Neanderthal from Croatia 70,000 years ago. The researchers believe that there was a population turnover toward the end of Neanderthal history that occurred either in the Caucasus or throughout Europe. The timing coincides with pronounced climatic fluctuations between 60,000–24,000 years ago. Hajdinjak said that the weather extremes "might have forced Neanderthals into refuge, which was followed by recolonization. “Alternatively,” she said, “there may have been regional Neanderthal extinctions and migration-recolonization of these areas." Coincidentally — or not — the genetic evidence suggests that modern humans interbred with Neanderthals during this challenging time for the latter 50,000–60,000 years ago. The fact that their mating resulted in children is itself a critical piece of evidence about Neanderthal identity. Around 150 years ago, Neanderthals and Homo sapiens were designated as two distinct species. This was largely based on differences in skeletal anatomy and material cultures. "However," Pääbo said, "genetics has now allowed us to show that Neanderthals and Denisovans interbred with early modern humans — and with each other — and had at least some fertile offspring. Therefore, by some definitions, modern humans, Neanderthals, and Denisovans are not distinct species." He continued, "What is clear is that modern humans, Neanderthals, and Denisovans are three genetically distinct groups of humans." One of the most surprising findings from the new study is that the genome for one of the two early-modern humans that was analyzed "had large amounts of Neanderthal ancestry, suggesting quite recent Neanderthal admixture happening in Europe," Kelso said. "But we do not detect any indication of a recent gene flow from modern humans in the five late Neanderthals analyzed in this study." It is possible that Neanderthal DNA affected anatomically modern humans more than the other way around. Future research could help to solve that puzzle. Hajdinjak and her team plan to continue to identify, screen, and sequence the genomes of archaic humans, with substantial effort going into obtaining DNA from older specimens across wide geographic areas. 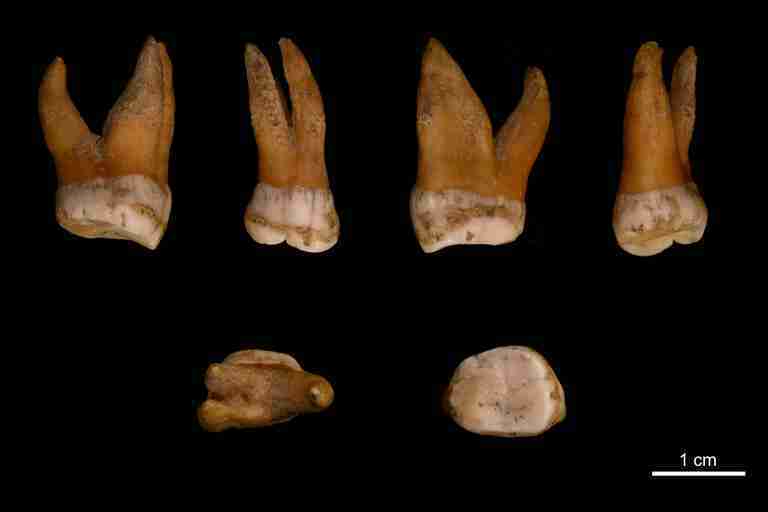 Additionally, they hope to identify more Denisovans outside of Denisova Cave, the place where remains of these early humans were discovered in the Altai mountains of Siberia, Russia. "Later mixture between different groups in different parts of the world certainly contributes to the genetic diversity of modern humans today,” Hajdinjak said, “and future studies may be able to give us a clearer picture of how early population mixtures contributed to the evolution of modern humans."